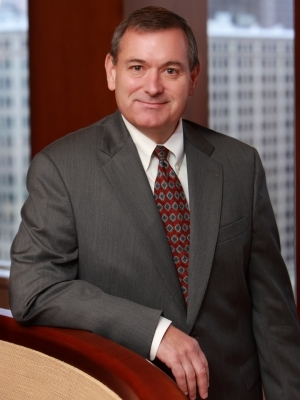 Gary M. Smith represents local and national clients in employment and business litigation and appellate work, including class action litigation in state and federal courts in Missouri, Illinois, and other states. Gary represents employers in discrimination, harassment, whistleblower, immigration, wage-hour, WARN Act (plant closing), and other litigation and agency proceedings related to employment. He also represents individuals and companies in non-compete and trade secret litigation, including matters seeking—and defending against—injunctive relief. Gary lectures at seminars for employers regarding employment laws and practices, and he counsels companies regarding personnel matters, policies, handbooks, and compliance with employment statutes such as the Family Medical Leave Act (FMLA), the Americans With Disabilities Act (ADA), the Fair Labor Standards Act (FLSA), Title VII, and the Age Discrimination in Employment Act (ADEA). Gary's broad range of clients includes members of the health care community, whom he represents in contract- and business-related disputes and litigation. He also represents various investors and partners, including lawyers, regarding disputes among business partners and litigation or arbitration associated with such disputes. Gary represents clients in state and national class action litigation in employment discrimination, insurance, and other matters. AV® Preeminent™ Peer Review Rated by Martindale-Hubbell, Gary was also selected by his peers for inclusion in The Best Lawyers in America® 2010-2019.